Today was a cool breezy day. Yesterday our high was 85 and today it was 70, with a strong wind this morning. As the day went on we had more sun and less wind. Max watched the weather in Alabama until late last night and then woke up and checked on things several times during the night until he was fairly sure all was okay at home. Today was the annual joint service with the Hispanic church, about a block from Francis Asbury UMC, Preserve Life church across the street and Francis Asbury. Today the pastor from the Hispanic church brought the message. Several musicians from his church also led us in some praise songs with some of us singing in English and some in Spanish. The pastor was then brave enough to bring the message in English and had one of his church members translated the message to Spanish for his church members. 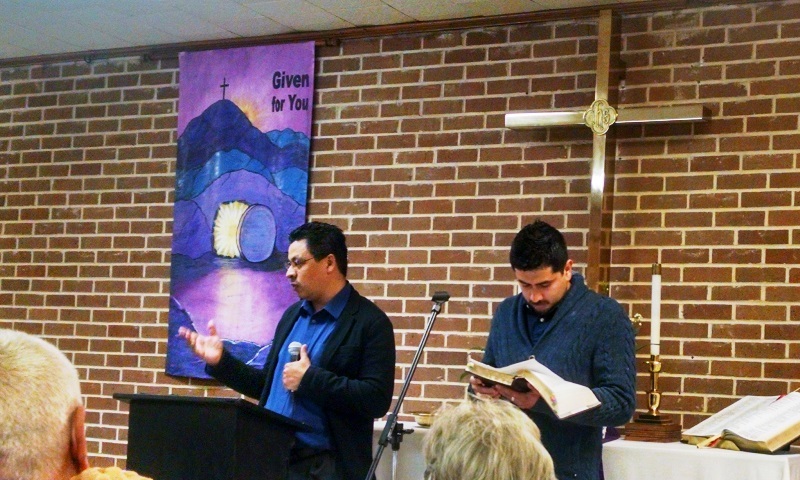 It was the first time for the pastor and the translator and they were great! 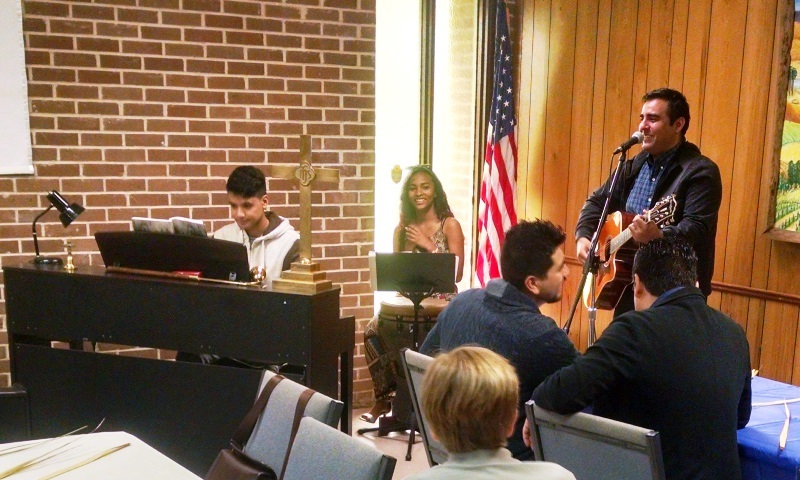 It was a wonderful time of worship with an excellent meal afterwards. Love seeing the churches working together. This afternoon we had to get all our tools back into the truck to be ready for work tomorrow, then Mark and Jo invited us to go to Sweetie’s for ice cream. We went by there back in February when we were here and they were closed but Mark said they are back open for the season now. Of course we told Mark and Jo we would love to go to Sweetie’s. We had milkshakes today. So good!! In case you were not reading the blog last year, the owner of Sweeties gives 20% of his sales plus all tips and contributions towards digging water wells in third world countries. He has signs posted indicating the number of wells he and his customers have supplied since he opened in 2012. In 2018 eight new wells were dug in Africa through funds from Sweeties. We got back to the church in time for our 6:00 team meeting where we are visited with our team members and talked about what still needs to be done at the various job sites. Not sure yet what we will be doing tomorrow, but we are sure it will be fun because we are joining a great group.